Individual and group instruction, specializing in congas, bongos, and djembe with an emphasis on rhythmic fundamentals. I began teaching my first student in August 2010, prior to which I gave informal instruction to a friend over a period of three years. I received a Bachelor of Music in Music Business from DePauw University in 1992. 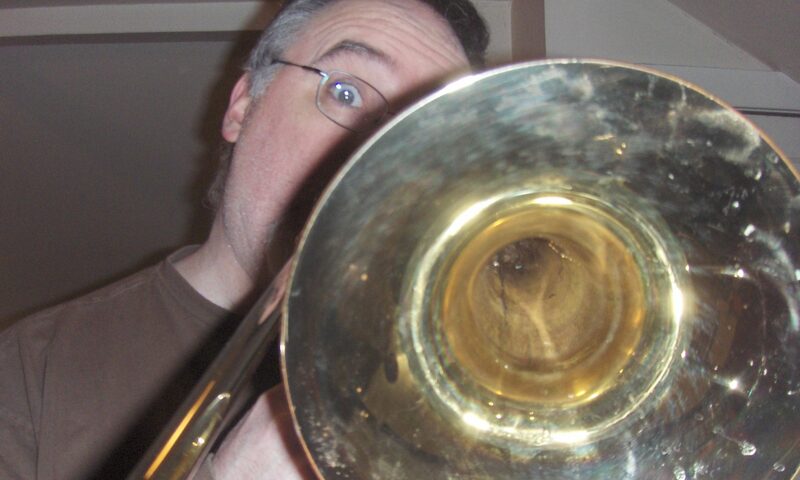 As a trombonist, I studied under James Beckel, prinicipal trombonist for the Indianapolis Symphony, and played in concert and marching band, Jazz Ensemble, brass quintet and the DePauw Symphony. I also studied drums under Steve Hanna while at DePauw. I am a founding member of three Portland-area bands: Mystic Canyon, an acoustic Americana band; Harmless Eccentrics, an acoustic rock trio; and the Jersey Rhythm Mafia, an electric improvisational band. I have played with many drummers, and have learned something from every one of them. I hope I have inspired them as much as they have me. These influential friends and partners-in-rhythm include Mike McNaughton, Jimi Hardin, Jason Rizzuto, Les Hutchinson, Keith Picone, Joe D’Andrea, Jim Burke, Jim Pitts, Dan Fitzgerald and Freedom Electric. Please read the comments below.